We are dependent upon ecosystem services or “life support services” provided by healthy ecosystems that we rarely recognize. Land managers should undertake the conservation of pollination systems and insects that deliver pest management services. The right combination of plant and floral resources can be used to attract beneficial and pollinating insects, which can reduce pesticide inputs. 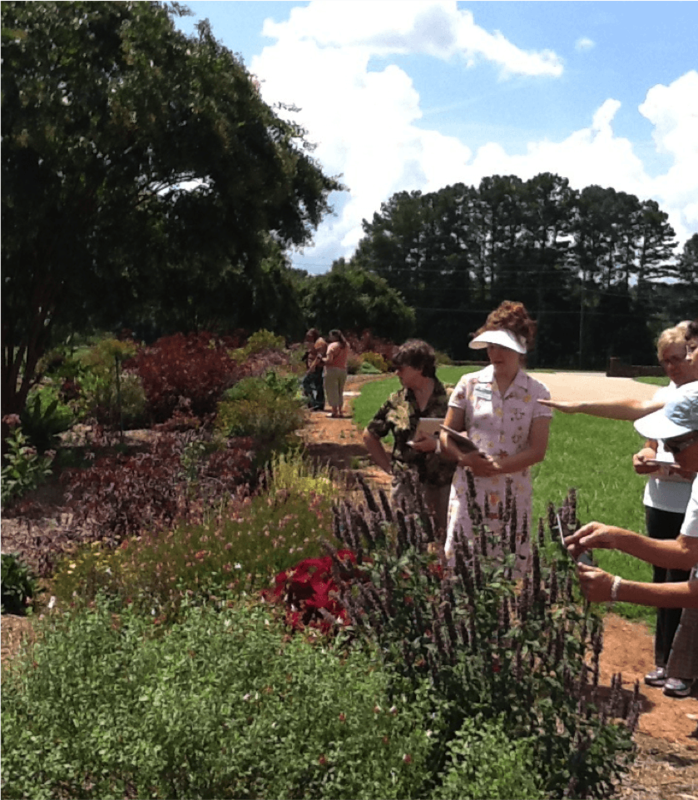 More than 70 plant types were evaluated in the Conservation Garden at the University of Georgia Research & Education Gardens at the Griffin Campus. Plants were chosen based on several factors including high production of pollen and nectar, attractiveness to beneficial and pollinating insects, flowering phenology, and availability of floral resources. Plants located throughout the garden were monitored biweekly for one hour. Visual observations consisted of family and order of beneficial and pollinating insects observed, plant or location insects visited, and ecological classification of the insects. Insect orders observed throughout the garden contain predatory, parasitoid, and foraging species that provide arthropod-mediated ecosystem services such as pollination and pest control. Differences between ornamentals were found with regard to types of insects attracted to a particular plant species. Butterflies: Agastache ‘Black Adder’, Lantana ‘Miss Huff’, Lantana ‘Mozelle’, Verbena bonariensis, and Buddleja. Spiders: Rudbeckia ‘Goldsturm’, Amsonia hubrichtii, Belamcanda, Gaura ‘Passionate Blush’, Nepeta ‘Walker’s Low’, and Chrysanthemum ‘Cambodian Queen’. Flies: Foeniculum vulgare, Coreopsis ‘Red Shift’, Belamcanda, Aster ‘Wood’s Pink’, and Gaura ‘Passionate Blush’. Bees: Agastache ‘Acapulco’, and ‘Blackadder’, Nepeta ‘Walker’s Low’, Salvia ‘Hot Lips’ and ‘Mystic Spires’, and Gaura ‘Passionate Blush’. Beetles: Achillea ‘Coronation Gold’ and ‘Seduction Yellow’, Coreopsis ‘Red Shift’, Gaura ‘Passionate Blush’, and Rudbeckia triloba. For more information email kbraman@uga.edu or bpennisi@uga.edu.